President's Blog - It’s Not The Economy, Stupid! That succinct phrase capsulized a long-held belief in American politics that while other factors are considered when Americans vote, the economy plays the most vital role and ultimately decides political outcomes. For wealthy investors today, the economy is a bit of an afterthought in part because it is doing well overall. Instead, investors worry about politics themselves, international relations and the stock market, which is not an economic indicator, no matter how many people think it is. There is a lack of stability in many aspects of American life today, and that is the most noticeable way in which life has changed for investors over the past decade. 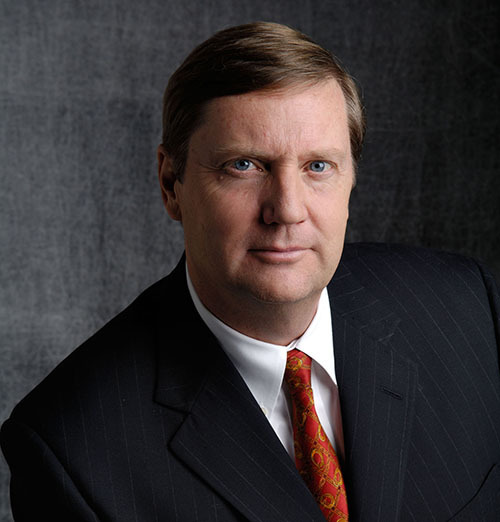 Certainly, investing had influencers other than economic indicators all along, but today the fluctuations of relationships between Democrats and Republicans, between America and nations in the Far East, between America and European countries, between America and the only two other North American countries that exist, make it very difficult to see a straight path forward upon which to place investments. No advisor can know with certainty how any of those relationships are going to work out, and it is improper for advisors to think those relationships do not influence investor sentiment. But the uncertainty among investors about the direction of the stock market and international relations begs for advisor intervention. There must be some safe and sane way forward. The findings from Spectrem’s November Investor Confidence Indices demonstrate how confused investors are about how to target their portfolios, and also shows just what outside influences are characterizing their balance of optimism and pessimism. The best example of confusion stemmed from the Spectrem Millionaire Investor Confidence Index in November, which saw Millionaire investors backing away from almost every form of investing for the coming month. Fewer Millionaires planned to invest in individual stocks, stock mutual funds, individual bonds, bond mutual funds and cash investing. Almost 37 percent of Millionaires said they would not extend their investing allocations in the coming month, and that was the highest level of non-participation among Millionaires since June of 2017. Among non-Millionaire investors, those with less than $1 million in investable assets, investment intentions dropped to below 10 percent of investors in a number of categories, and the percentage of those not investing skid over 50 percent to 55.2 percent, the highest percentage in that category since December of 2013. Backing away from an uncertain market might be wise, but are there other maneuvers those investors can be making that will benefit them for now and for the long-term? Advisors should consider the reluctance of non-Millionaires as a market for other investment options. The Spectrem Confidence Index report included one more indicator of the pressures that cause investors to waver. 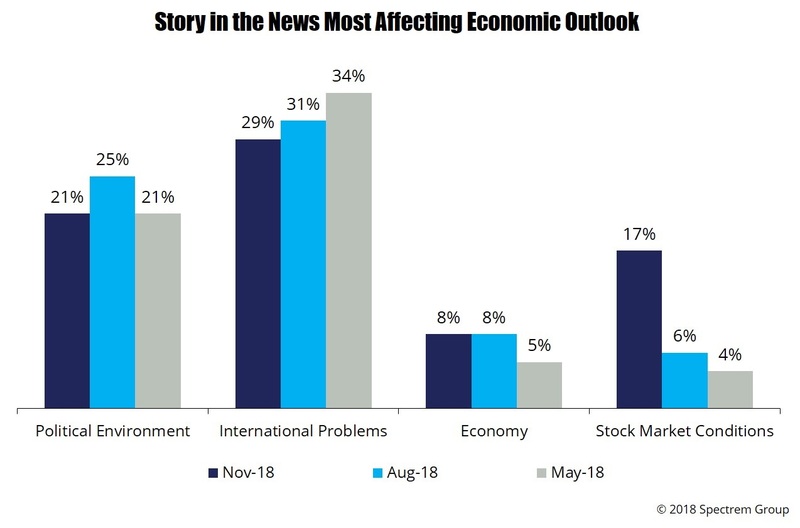 The monthly question in November asked “What story in the news is most affecting your economic outlook?’ and the top three responses were “International Problems” (29 percent), “Political Environment” (21 percent), and climbing the charts at 17 percent was “Stock Market Conditions”. Three months earlier, when that question was last asked, politics and international relations got slightly higher results and the stock market was only a concern for 6 percent of investors. And where was the economy on the list of stories impacting economic outlook? Fourth on the list at 8 percent. When the mid-term elections took place, the American economy was still robust, but there was a Democratic surge among members of the House of Representatives, indicating that in the political environment, it isn’t just the economy any longer. That certainly seems to be the case in the investment environment as well.